Buying a Violin - Some good advice here. Here you will find some down to earth facts. Hopefully, with this information, you will be able to navigate your way through some of the myths and mysteries of the violin and make a sensible choice when buying a violin from us or other vendors. What Size Violin do I need ? If you're an adult then you probably need a full size (4/4) violin. For children, the violin is available in many small sizes, from 3/4 size down to 1/16. This is one reason why the violin is so popular with young children. A 1/16 violin is very small indeed and is only suitable for a very young child, probably at play school age. By the time a child reaches primary school they will normally be big enough to play a 1/4 or 1/2 size instrument and after a few years a 3/4 size. Most children will be big enough to play a full size violin by the time they have moved on to secondary school. For more information about violin sizes and a measurement guide see our What size Violin for my child page. Can an Adult learn to play the Violin. We get asked this question so many times and the answer is emphatically yes. It's unlikely that you will become a classical star and it will maybe take longer than you would like, but you will have a lot of fun along the way and the pride you'll feel when somebody eventually says to you, "You know you're really not bad !" will be priceless. Have a look at our Adult Violin Beginners page for more information for adult beginners. There's no doubt that it's really nice to have a brand new instrument but there is no reason to turn down a second hand offering, if it has been well looked after, after all a Stradivarius is second hand now. The important thing is that the instrument has been set up correctly. A well set up instrument will have as a minimum, pegs that turn easily but don't slip, a bridge that is the correct shape and strings the correct distance apart and the right height above the fingerboard. Many imported new instruments are well made but suffer from inadequate setting up. You can find more about new and second violins here. Why the difference's in price ? Student violins come in a few basic types, mass produced or hand made and some with a mixture of both. A mass produced violin will be made to a strict budget. The wood that is used will not be so well seasoned or such good quality and most of the carving will be done by machine. A hand made instrument will take much longer to make. The wood will be carefully selected from much older and better seasoned stock and the carving will all be done by hand. As it is being carved various areas of the top and bottom plates will be adjusted and tuned by the Luthier to meet a set of acoustic standards as well as a set of physical dimensions. Violin making is still very much an art and so much of the final sound is dependant on the skill of the Luthier and his choice and use of wood. How do I choose a violin ? Are all strings the same ? A resounding NO to this. Changing the type of strings on a violin can have a profound affect on the sound of the instrument. 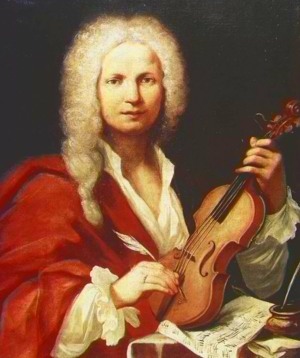 When the violin was first invented, strings were made of animal sinew (catgut). This type of string produces a mellow sound but is notoriously difficult to keep in tune as they are greatly affected by temperature and humidity. Steel strings, sometimes over wound with Aluminium and even Silver are very good at staying in tune. They produce quite a bright sound and on some violins are a little harsh and screechy. They are often used on smaller violins where the brightness of the steel string compensates for the quieter sound produced by these instruments. Nylon, often known as Perlon, is a favourite choice of many violinists. Strings made with a Perlon core over wound with Aluminium or Silver produce a more mellow sound than steel. A very similar sound to that of the old gut strings but without the tuning problems. Many an average violin has become a much better instrument by being restrung with good quality Perlon strings. You'll find a lot more about strings on our String Information Page. What's all this about "Setup" ? The violin is a curious mixture of parts. The body and neck form a fairly rigid structure with the strings, bridge and tailpiece mounted on top and mostly held in place by the tension of the strings. Many people are amazed to find that the bridge is not fixed to the violin at all but is just held in place by the downward pressure of the strings. If a violin is to play well then this collection of parts has to be in the right place and also the right size and shape. The bridge must have it's feet adjusted so that they match the curve of the belly of the violin. The curved top of the bridge must match the curve of the fingerboard and hold the strings the right height above it and at the correct distance from each other. The soundpost must be correctly fitted and the pegs must rotate smoothly but not slip once the strings are tuned. In some respects the choice of strings is part of the setup as it can affect the final sound and playability of the instrument. Here at The Violin Company we often change strings to get a better more even sound from a violin. You can read more about our violin Setup here. It's not obvious to many people, especially beginners, how to look after their violin. We've compiled a simple PDF guide to help you keep your violin in good condition and playing well. You can print it out and keep it in your case as a reminder. How to tune your violin. We get lots of questions about tuning the violin so here is a PDF document explaining the basics. How to tune your violin - 144kb PDF.